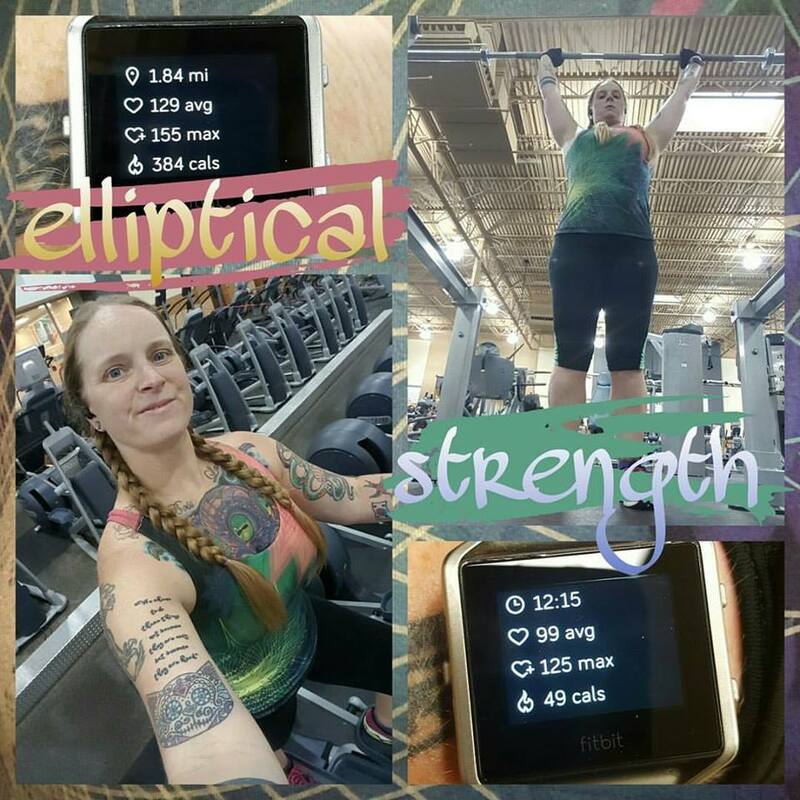 • Saturday: went to the gym in the afternoon and did 45 minutes on the elliptical followed by a super short 12 minute strength training session. I haven’t strength trained in over a month, so I thought I’d kind of ease back into it. 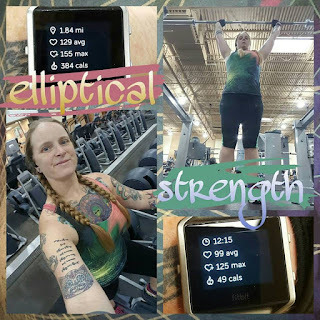 I picked 2 exercises and did 3 sets of each. I did push press and barbell deadlifts. 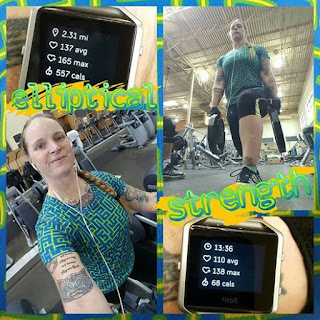 • Sunday: I was going to go run 10 miles but since I didn’t get everything done on Saturday that I had planned to get done due to the fact that I ended up being exhausted from working three 16 hour shifts in a row on Wednesday/Thursday/Friday nights. So, I just went for a 3.25 mile walk around my apartment complex to ensure that I hit my 10K steps for the day and got all my food prepping and laundry done. 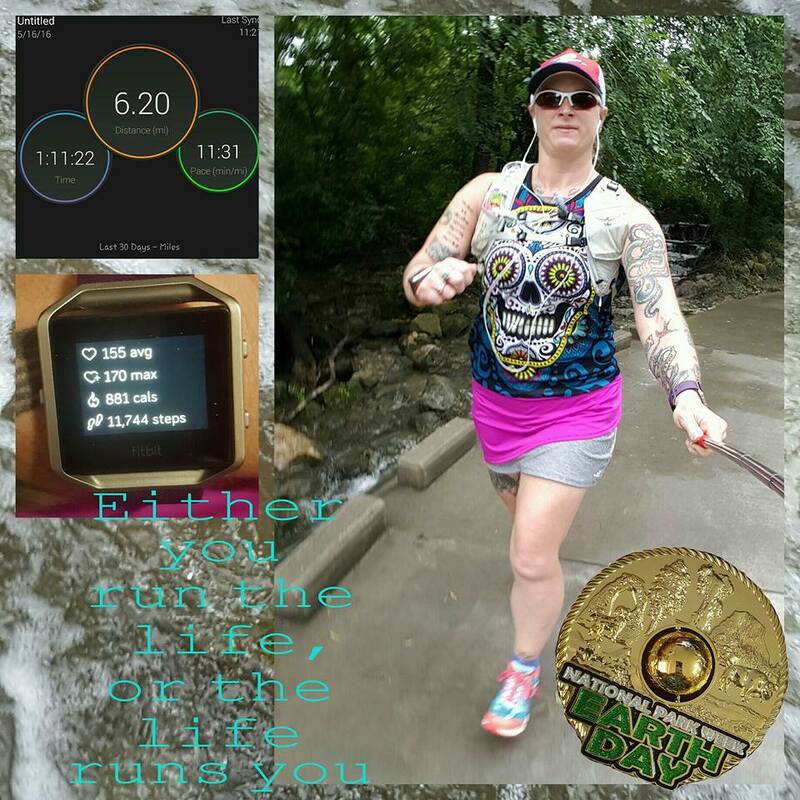 • Monday: the ORIGINAL plan was to run 10 miles on Sunday and 7 on Monday. However, the 10 didn’t get run on Sunday and then my doctor’s appointment I had for 8:15 Monday morning got canceled at 8pm on Sunday evening (mhm…if I had called them at 8pm the night before my appointment to cancel, they would have charged me a $100 late cancellation fee…but whatever), so I set out to run a 10K distance to earn another virtual race medal! But, you know how some runs are easy and some runs are…well…some runs aren’t. This one wasn’t easy. It was probably a mix of the fact that I’m not used to the high humidity we’re having this month plus allergens in the air because post run I just couldn’t really catch my breath. • Tuesday: was hoping to pick up an OT shift Monday night but no dice. 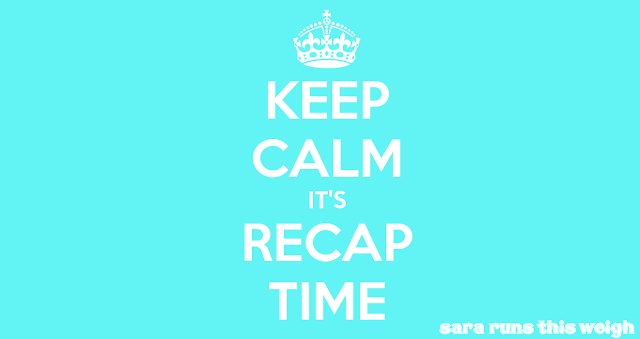 So, I went to the gym and did 60 minutes on the elliptical followed by another 2 exercise strength training session. This time I did decline bench press and walking lunges. Including the weight of the bar, I had 75# loaded for the decline bench press. Then I just held a 25# weight plate in each hand for the lunges. I think I have decided that for strength training I will just ease my way back into it. Probably through the end of this month, I’ll keep it to just 1 exercise each for upper and lower body per session. Next month I’ll add 1 exercise each to upper and lower body. Then, a couple/few weeks later added a third and so on until the workout takes me about 45 minutes. • Wednesday: was going to do a second day in a row at the gym, but then remembered that my friend Heather gave me an extra copy of the new Shaun T workout program Cize. So, I figured I’d give that a try and selected the first workout in the program: Crazy 8’s. It’s a 30 minute dance workout and let me tell you, it was FUN! 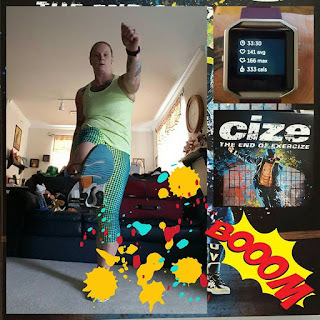 I’m not a Beachbody coach or rep, but if you’re looking for a fun workout, I am recommending Cize. 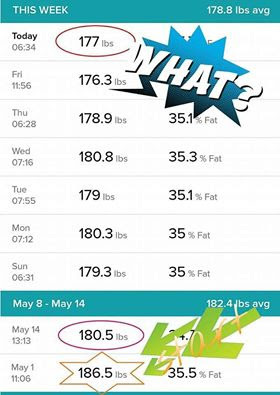 I can point you in the direction of a couple friends that are Beachbody coaches that can help you, if you’re interested and don’t know anyone that’s a coach, also. Anyway, I loved this workout and burned over 300 calories in just 30 minutes. And I wasn’t even giving it my all because my back was hurting a little bit and I didn’t want to throw it out. • Thursday: I had my medication follow up appointment with my doctor at 8:15 and then I was going to go run the 7 mile loop at Ladybird Lake hike & bike trail. However, it had been raining pretty hard for a few hours and the trail was completely flooded, so I wasted an hour driving there and then back home. I decided that, since about half of where I would run on the sidewalks near where I live was also flooded, that I would give the treadmill a go. Eeek! If you know me at all, you know I hate the treadmill. My friend gave me her Netflix login and I pulled out the tablet that Verizon gave me for free when I bought my phone last summer for the first time. It worked fantastic! I watched Supernatural while I ran on the treadmill for 65 minutes and logged 6.35 miles. I do have to say that after 30 minutes, I was more aware of the fact that I was STILL on the treadmill. The first 30 minutes weren’t too bad, though. 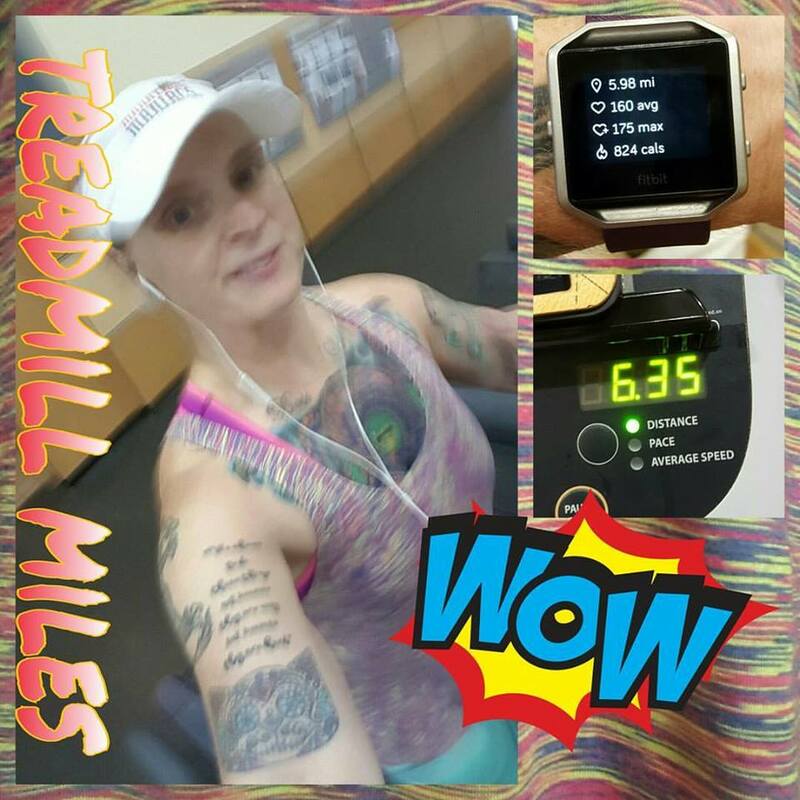 And, now that I’ve survived 65 minutes on the treadmill…maybe it’ll be an option for a few summer runs when I’m not able to pry myself out of bed at 5:30am to beat the heat or hit the pavement after work. Plus, I was able to hold a pace closer to 10 min/mi without a huge effort, so that makes me happy. • Friday: managed to pickup overtime on the night shift Thursday night, so no workout or run on this day. 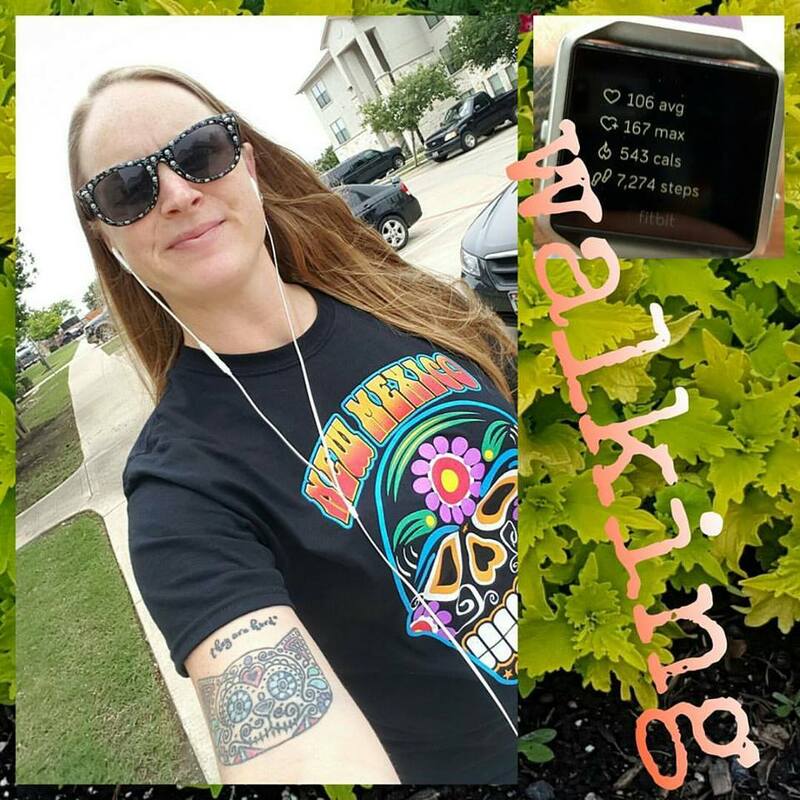 Just walking to hit my 10K steps for the day! Not only was my doctor’s appointment being canceled less than 24 hours annoying enough, but the appointment was to evaluate how I was doing on a new medication that he gave me samples of. And he only gave me 2 weeks’ worth of samples, so I took my last sample pill on Wednesday. So I called first thing Monday morning when they opened the office at 8am to reschedule my appointment for as soon as possible. Thankfully I was able to reschedule for Thursday morning. Whew! Eating has gone quite well this week. In fact, on one occasion I actually forgot to eat breakfast until it was time to get ready for work. Oops! But hey, I’m not really complaining because that means I’m not obsessing over food right now! Huge non-scale victory right there! Saturday, I had a piece of pizza that was left over from work Friday’s night shift overtime. It was the Domino’s Veggie and it was quite tasty! I also ate plain Greek yogurt (0% fat) with raspberries and sweet’n’low, a bacon wrapped chopped venison steak that a friend gave me a while back and will be happy to know I finally ate, then some cereal and a rice cake for dinner. Ha. Sunday I had my rice Chex cereal with cashew milk for breakfast, tested out one of my turkey burger wraps for lunch with the last bit of the 0% plain Greek yogurt and raspberries, then went to Jason’s Deli and tried out their Wild Salmon-wich and got the mixed fruit with yogurt dip side and finished off the 2 meatballs my friend’s daughter didn’t want off her plate. I ended the day with a migraine and so had a couple ginger chews. I did have a coupon for a free short stack of pancakes that I had intended to use over last weekend, but decided not to use. 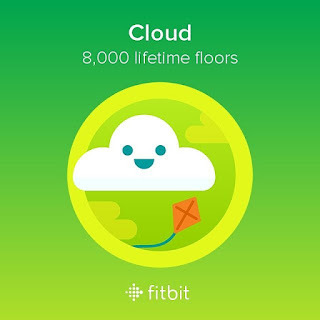 First reason was I was going to use it after my run and I didn’t go for a run over the weekend. Second reason was that I actually didn’t feel like having pancakes. WIN! I have turned down a good amount of indulgent foods over the past week and a half and I’m very proud of myself. Also, my stomach has already shrunk and I get full so much easier and faster now. WIN again!